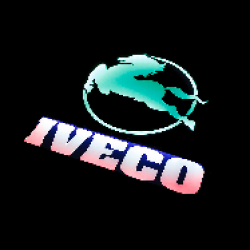 Hello, on this auction we got a fantastic looking Led logo for any Iveco! After Completing your purchase, please message me saying which one you would like. BRAND NEW iveco LED Light Sign Board designed and built in house! This is our take on the LED Light Sign board loved so much by truckers. They are 50cm wide and 50cm tall made from 3mm black Plastic and use around 300 LED's! These Sign's on 24 Volt and come with 2 Meters of cable, ready to wire into your lights or you can simply fit a cig plug and use in the cig lighter socket.